My diehard chocolate habit won’t be going away anytime soon, thanks to this recipe. 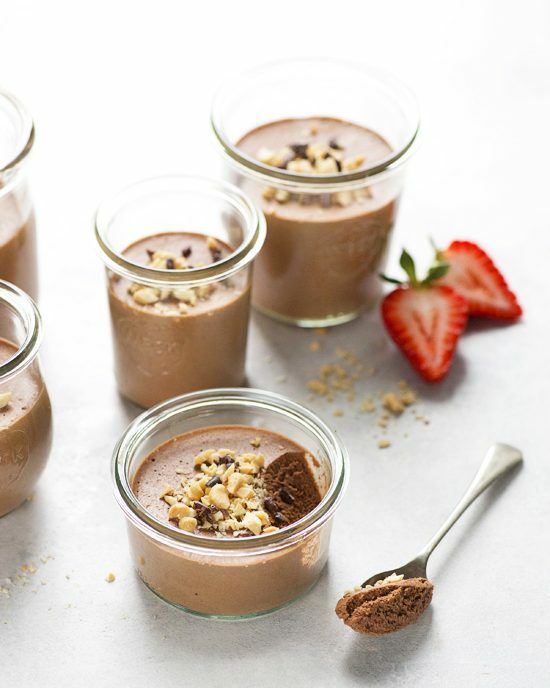 You won’t believe this fluffy chocolate mousse consists of only a handful of ingredients, the main one being a full can of beans! 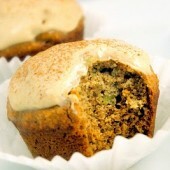 If you’ve been here long enough, you’ll know I love sneaking nutritious plants into sweet things. And, given the zero waste trend these days, it only made sense to use up the aquafaba liquid, too. 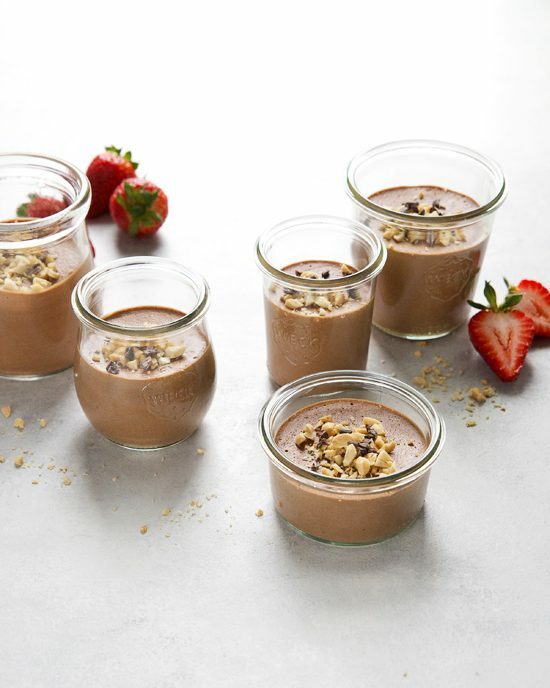 So that, in a nutshell, is how this incredible, nutritious and high-protein whipped chocolate mousse was born. This recipe is a fairly easy one but there are a few things we need to get sorted before you start. 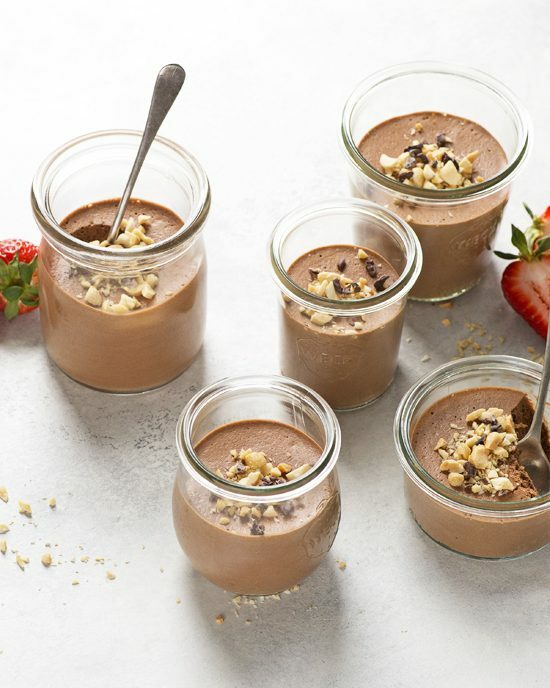 Essentially, the recipe requires you to blend the beans, whip the aquafaba liquid, and melt the chocolate, all of which will be mixed together to create this awesome mousse. So, you’ll need some appliances: a blender, a stand mixer and a double boiler. Seems like a lot, right? Sorry, but I promise it’ll be worth it. Hear me out for a few alternatives. The blender is required to blend the beans into a smooth liquid. The stand mixer is needed to whip the aquafaba into a stiff foam. 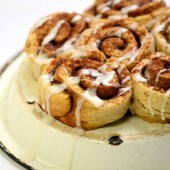 If you don’t own a stand mixer, you can use an electric hand mixer and some arm strength. It’ll take about five minutes or so to get the stiff foam, so go this route if you want a good arm workout. One thing I should note is that during the testing of this recipe I noticed there’s inconsistency in the amount of aquafaba liquid in each can of beans, even when I use the same brand! So, the whipped texture of the finished mousse will depend on how much liquid is whipped and folded into the chocolate. I’ve noticed I get between 1/4 to 1/2 cup liquid from a can. Either way, it’ll be delicious. Finally, the double boiler is needed to melt the chocolate. If you don’t have a double boiler, just use a large metal bowl as noted in the recipe. Or zap the chocolate in the microwave if you have to. Just figure out how to melt the chocolate without burning it, okay? Lastly, the quality of your chocolate will play a huge role in the outcome of your mousse. Good quality chocolate = good quality mousse. Makes sense, right? Go with a 70% non-dairy dark chocolate like Camino. Open the can of beans and strain the liquid through a sieve and into the bowl of a stand mixer. Rinse the beans and add to a blender. Using the whisk attachment on the stand mixer, whip the aquafaba (the leftover liquid from the can of beans) until stiff peaks form, about 5 minutes. You should be able to hold the bowl upside down without the foam dropping out. Add the non-dairy milk, maple syrup, and vanilla to the blender with the beans. Blend until very smooth. Fill a small saucepan with an inch or two of water and place a double boiler insert or a large metal bowl over the pot (make sure the bottom of the bowl isn't touching the water). Add the chocolate and melt completely over low heat. Once melted, add to the blender with the bean mixture and blend until smooth. Pour the chocolate mixture into the stand mixer with the whipped aquafaba and mix on low speed until just incorporated. Pour into individual serving glasses and chill for at least one hour before serving. YUM! This chocolate mousse looks absolutely delicious and I love the fluffy rich texture. Oh I love this! Not a fan of tofu based mousse recipes, I think they taste a little off. But I’m such a chocolate girl so definitely making this one. Thanks, Liv! I hope you enjoy it! It is not necessary to buy canned beans to have aquafaba: I always buy dried beans and cook them myself after soaking. Then, I get aquafaba with the remaining cooking water from any beans If you let it cool, the texture should become thicker. if not, you need to boil the cooking water again to reduce it, until the texture change.